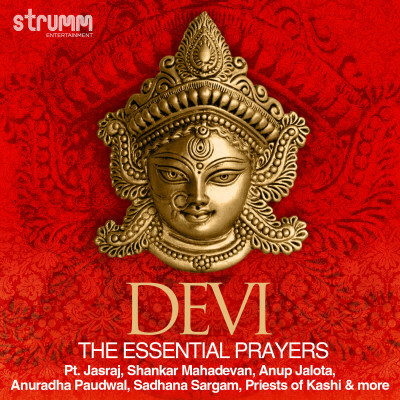 Popular essential prayers of Devi including Aartis, Mantras and Shlokas in one album. Also includes the powerful Devi Sukta from the Rigveda. Brand New 2014 recording that includes the major singers of Devotional music: Pt. Jasraj, Shankar Mahadevan, Anup Jalota, Anuradha Paudwal, Sadhana Sargam, Tripti Mukherjee; and priests of Kashi chanting the Devi Sukta.